I have been a very busy artist all weekend. 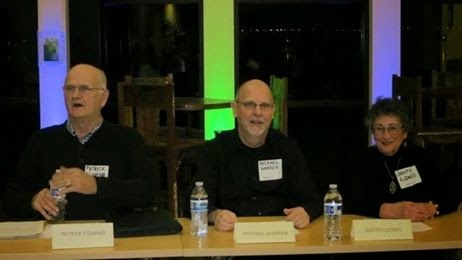 Last night I enjoyed being on the panel at THE REACH with Patrick , Michael, and Judith. 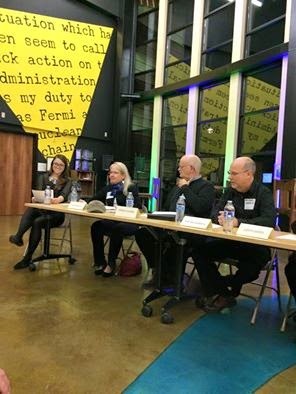 Our artwork was selected to show at the site for 6 months and they had a reception for the opening. 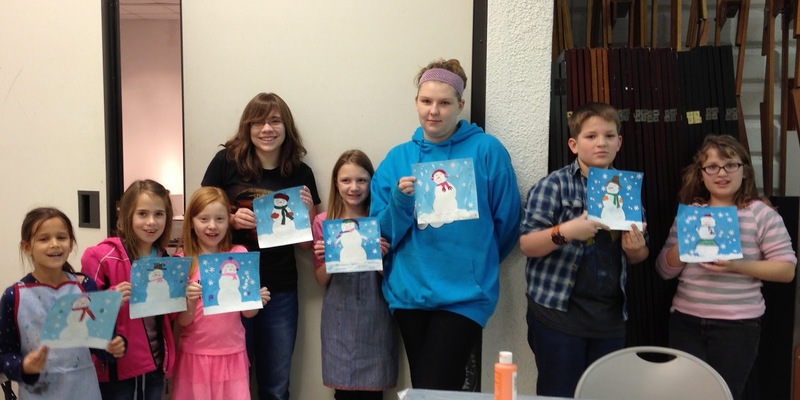 Then today I had 9 little artists to teach SNOW PEOPLE in acrylic at Allied Arts Gallery / The Gallery at the Park Richland WA. They were very creative and eager to paint. See for yourself. I was at Allied Arts to pick up my Desert Fiber Arts entries from the month of January. I peaked in the back and saw "snowman supplies" set up on the tables!!!!! Big imaginations this winter! Congratulations! I think Pat mentioned the reception. Would have been fun to be there. Great turn out for the class! I've enjoyed seeing your posts!